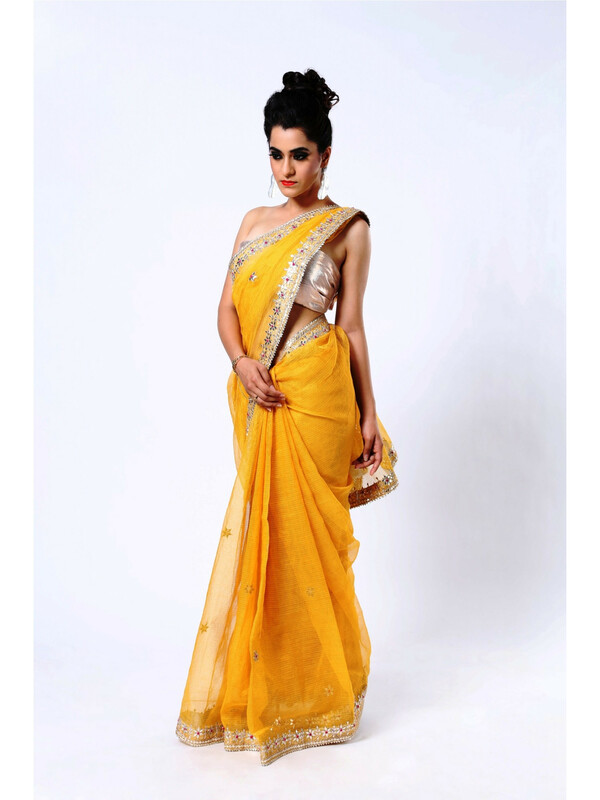 This elegant yellow colour saree is made on kota tissue fabric. Traditional gota work is embroidered on this saree. It comes with a matching blouse in same fabric.